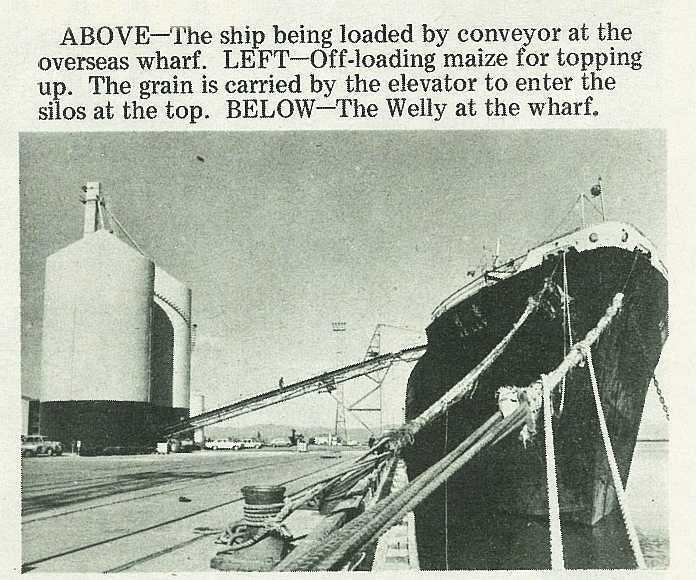 The first bulk shipment of maize for overseas export was loaded by the new conveyor system on to the bulk cargo carrier Welly, recently. 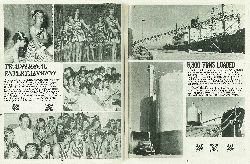 The maize is being shipped to Taiwan for stock feed, and the 6300 tons took just on a week to load. 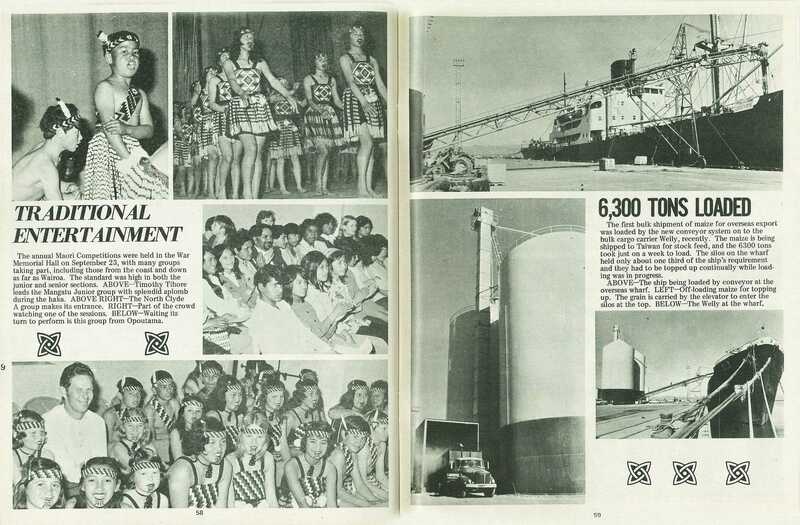 The silos on the wharf held only about one third of the ship's requirement and they had to be topped up continually while loading was in progress. 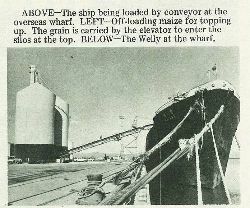 The ship being loaded by conveyor at the overseas wharf. Off-loading maize for topping up. 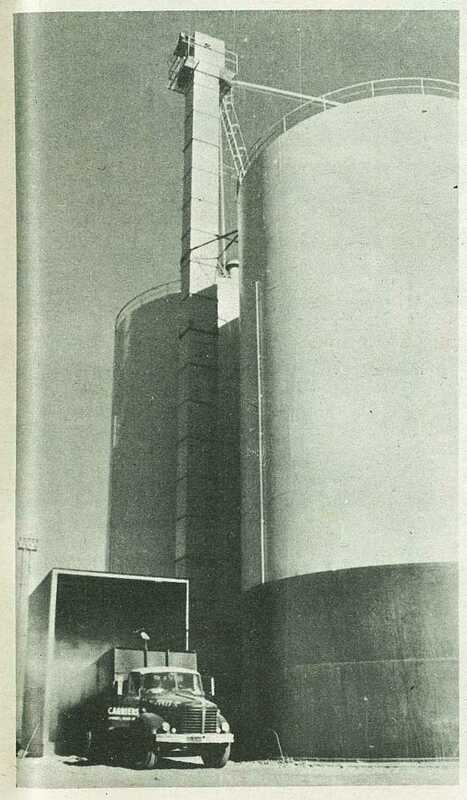 The grain is carried by the elevator to enter the silos at the top. The Welly at the wharf.